teaching was adapted to each individual practitioner. Each one received specific lessons from Joe and Clara; and each developed a heritage of the method that was slightly different from the others. From one generation of teachers to another, the transmission of the Pilates method was done through apprenticeships. It is not surprising, therefore, that almost 50 years later, several “schools” and threads of the method co-exist. Some are faithful to the original, classical repertoire, while others became more specialized in other branches, such as rehabilitation. Still others target professional athletes with a more athletic-based approach. Those who knew Joseph Pilates have spoken of his intellectual curiosity and the way he continued to evolve in his method his whole career. It’s hard to imagine what Contrology would look like if Pilates was still alive today. 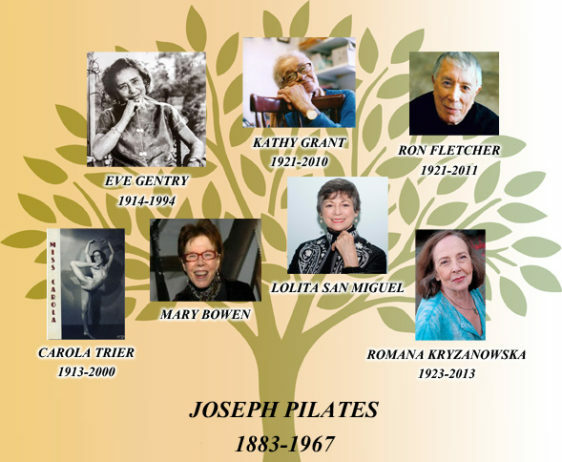 It is essential to root any Pilates practice in a true understanding of Joe and Clara’s work, then to continue to develop and evolve with intelligence and discernment to preserve what Jennifer Stacey called the “nervous system of the method,” or the 6 principles of Contrology. Thus, it is essential to maintin high standards when training the Pilates method, so that the diversity of approaches continues to enrich the practice of the method.